James Lipton says the moment he for years had been waiting for – when a former student had become successful enough to appear on ‘Inside the Actors Studio’ – came to fruition with Bradley Cooper, whom James had auditioned and admitted to acting school years prior. Larry King: Anyone you’ve not been able to get? James Lipton: Well, Brando I suppose. James Lipton: Hat’s off to you, I’m sure you got everybody I couldn’t get.But, the one person I wanted the most, when I was asked the answer was always the same. I was dean for 10 years at the Actors Studio drama school, and I have answered; the night that one of my students has achieved so much that he or she comes back and sits down in that chair next to me will be the night I’ve waited for since starting this thing 23 years ago, and it turned out to be Bradley Cooper. Larry King: He was a student? James Lipton: I auditioned him! If I had turned him down he would have gone on to a different career. Larry King: What did you see in him? James Lipton: I saw in him what I see in auditions, I auditioned everybody while I was dean, everybody who applied, and it is a unique accessibility to the self. It’s very difficult to describe, but if it’s not there, it’s not there, and if it is you spot it. Would you recognize your sister in a crowd? That’s what happens to me when I see that. I went down to the stage and said to him, ‘if we accept you, are you ready for 3 years with us?’ And he started to cry and said ‘yes.’ He cried again when he came on the show, as everybody knows. Wept bitterly as he came on the stage. Larry King: He’s as comfortable in theater as he is in film. James Lipton: That was his master's degree thesis in our school. How about that. Larry King: And he did it on Broadway. 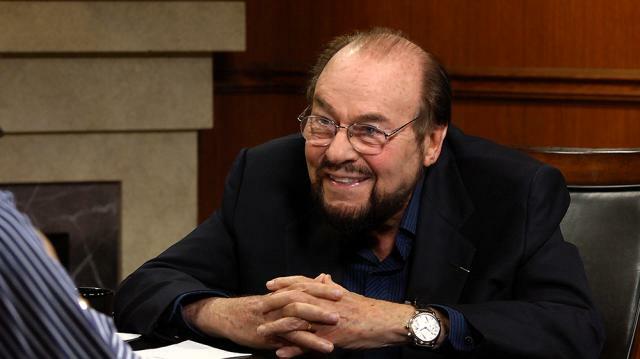 James Lipton: And he did it on Broadway. What a man.